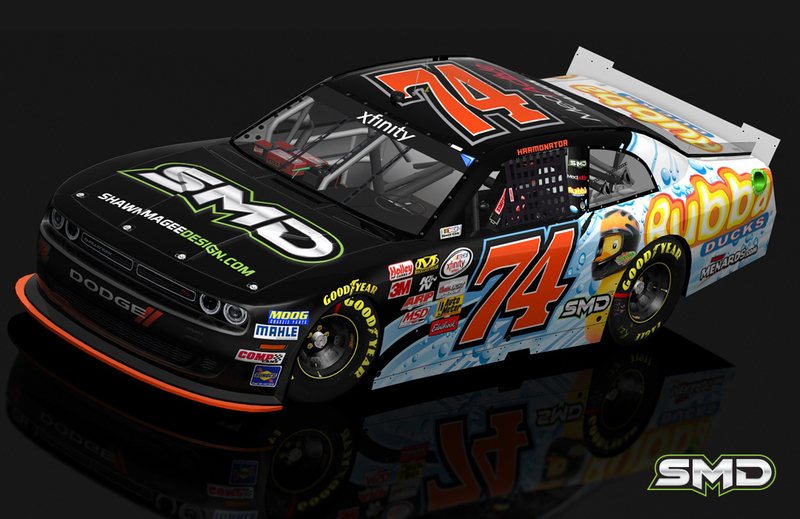 SMD created a custom NASCAR Xfinity paint scheme design promoting the main sponsor of the #74, Rubba Ducks. Rubba Ducks is a custom rubber duck producer with product in stores like Menards and many other retailers. 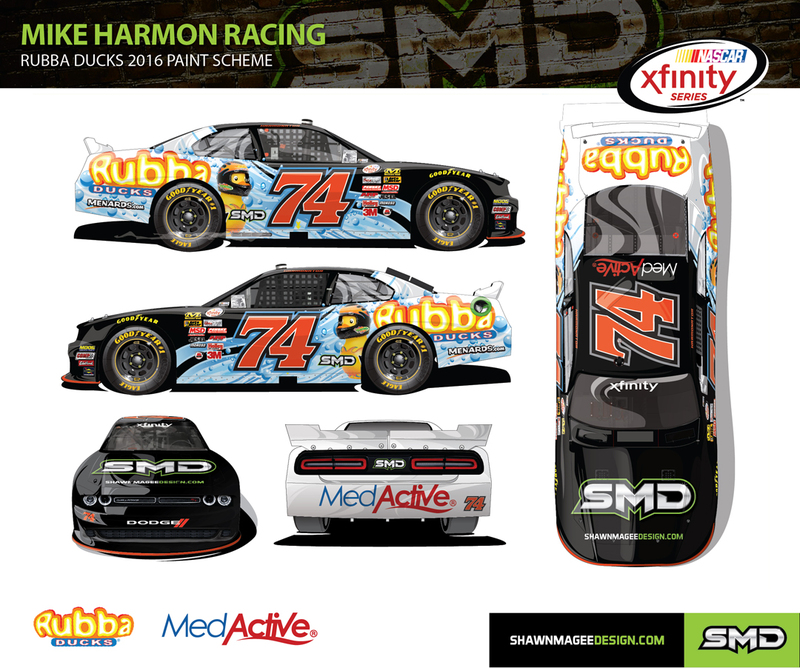 Rubba Ducks has previously ran as the primary sponsor of the #74 Dodge Challenger driven by NASCAR legend Mike Harmon. 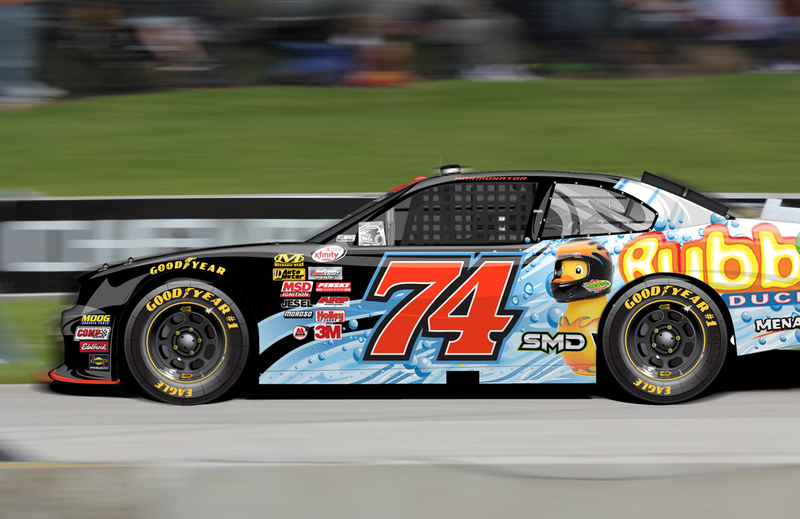 The paint scheme utilizes the iconic look of the “Ducktona” racing duck on the side of the car. The water consumes the backside of the car that covers the traditional orange and black paint scheme that Mike Harmon usually runs on his Xfinity cars.